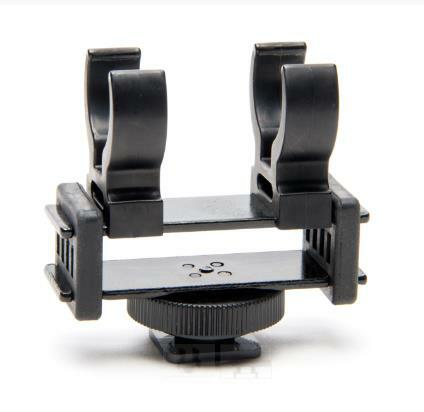 The Azden SMH-3 is a shock-mount microphone holder with a standard size shoe mount for camera-top mounting. 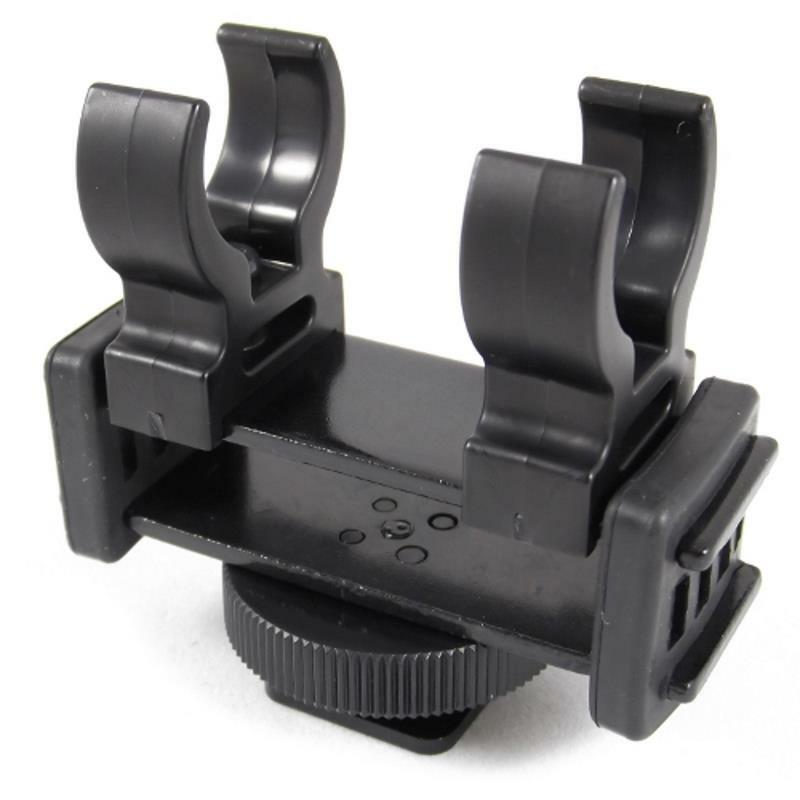 Two plastic clips firmly hold on to the microphone's case while two rubber spacers isolate and protect the microphone from handling noise and vibration. 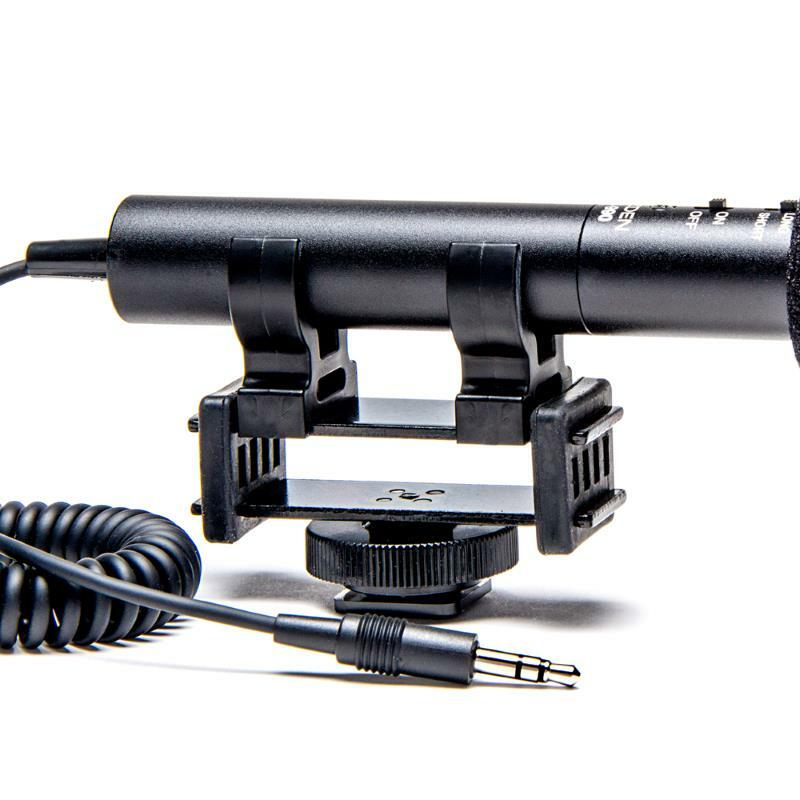 The SMH-3 works best with shotgun microphones with a diameter of 18 - 20 mm. 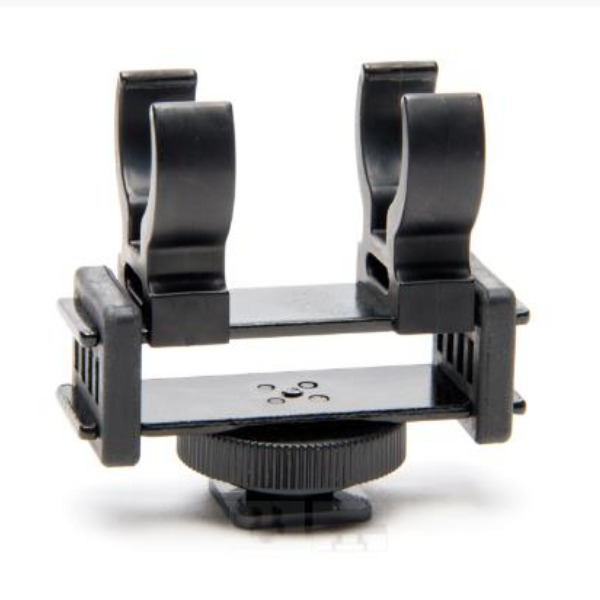 Compatible Azden models include SGM-3416, SGM-3416L, SGM-990 and SMX-10.